Osterley … image in public domain and held at State Library of Queensland. Henry Innalls Aldington is my great great grandfather on my mother’s side. He was born on 25 Oct 1857 to William Aldington and Rebecca (nee Innalls). The family were living in Goodge St, Camdon in London and his father was a Corn Dealer. Henry was the youngest of five children and was baptised in St Pancras Church on 10 Jan 1858. In the 1861 census the family are living at 46 Goodge St with several individuals and a family boarding. His father is listed as a Corn Dealer; his brother, Charles, a carpenter; his brother, William, an office boy; and his sister, Elizabeth, a scholar. Two widows living at the same address are a dressmaker and an upholsterer. The head of the other family residing with them was a tin plate worker. Ten years later, the family are living in St Pancras at 18 Quadrant Grove. William appears to be a carter, Charles a carpenter, William Jnr a silversmith, and Elizabeth is employed but I can not make out the writing. In 1881, Henry is living in Falkirk, Scotland working as an Officer for the Inland Revenue. On 3 Aug 1884, he married Jessie Brand in Bo’ness, Linlithgow, Scotland. Jessie was the daughter of James Brand (a brick manufacturer) and Anne Brown. Their first child, Jessie, was born in 1885 in Much Wenlock, Shropshire and she was followed by Dorothy (my great grandmother) in 1891 and Thomas in 1893. The 1891 census lists the family as living on Shineton Street, Much Wenlock. The family has one servant, Martha, living with them. By 1891, the family are back in London at 121 Wightman Rd, Harringay. Henry is still with the Inland Revenue Office (1st Class Excise) while his eldest daughter, Jessie, is learning to use the telegraph. The electoral records show that the family had moved to 94 Wightman Rd by 1907. In 1909, Henry, Jessie, Dorothy, Ralph and Marjory emigrated to Australia aboard The Osterley – her maiden voyage. The Osterley was a steam passenger ship built by the London & Glasgow Shipbuilding Co in 1909 and left London on Aug 6th. “A vexatious delay occurred in the delivery of the mails by the R.M.S. 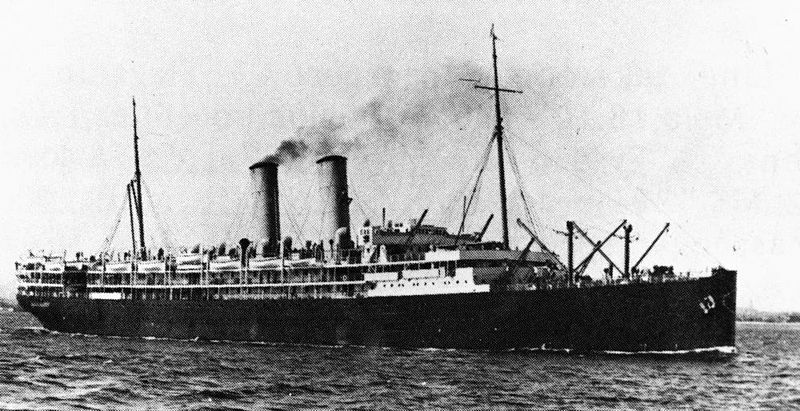 Osterley, which arrived at Fremantle on Friday. The boatreached the Gage Roads at 2.30 p.m., but was not alongside, the quay until 6, the medical inspection occupying two hours. It was recently suggested that the medical officer should board incoming mailboats at Rottnest, in order to minimise the delay, but although Dr. Wollaston offered no objection to this course, it has not been adopted. In consequence of the delay people on the eastern goldfields will not receive the English mail till tomorrow. The late arrival of the Osterley was due to a chapter of accidents. Trouble with the cylinders necessitated a longer stay at Plymouth than usual, but this was made up before Marseilles was reached. Entering Port Said, the bottom of the first intermediate cylinder was blown out. As the engine was a quadruple expansion it was decided at Port Said to cut it out, and work the Osterley as a triplex expansion engine, and this caused considerable delay. However, ‘ the time might have been made up but for an over-heated high pressure piston rod on August 21 having to be taken out and replaced by a new one. The operation took 30 hours, during which time the speed of the vessel was reduced from 15 to 10 knots. The family were living in Mosman in 1922 and had moved to Katoomba by 1930. Henry died in Katoomba in 1932. It is believed he suffered from tuberculosis and this was the reason the family emigrated to Australia. This entry was posted in Aldington and tagged 52 Ancestors, Aldington Family, Henry Innalls Aldington, Much Wenlock, Officer of Inland Revenue, Osterley. Bookmark the permalink.